A mix of black pepper, citrus, garlic, salt and a pinch of chives make up this Fairtrade Certified Swahili Lemon pepper best served on steamed green beans, chicken, duck, fish as well as potatoes and root vegetables. It comes in a ready to use grinder adorned with beads and tassels made by “Cape Mental Health Society” which provides work for the mentally handicapped around Cape Town. Black pepper (50%), sea salt, garlic (20%), lemon peel, organe peel, chives, natural lemon oil, natural orange oil. 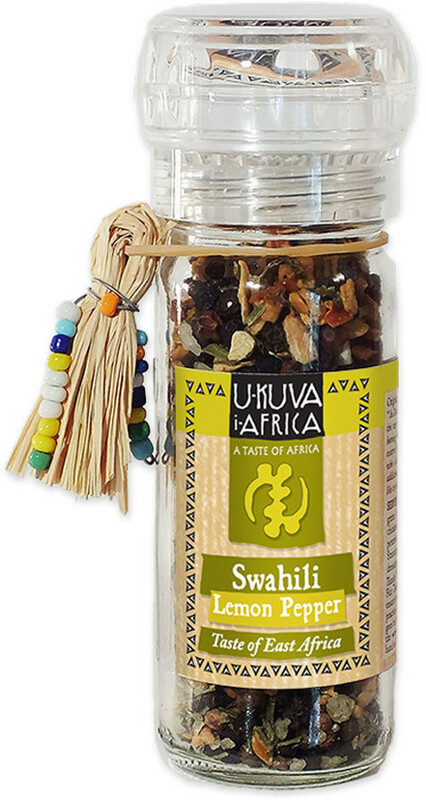 The U-KUVA iAFRICA Swahili Lemon Pepper Grinder - 60g product ethics are indicated below. To learn more about these product ethics and to see related products, follow the links below. 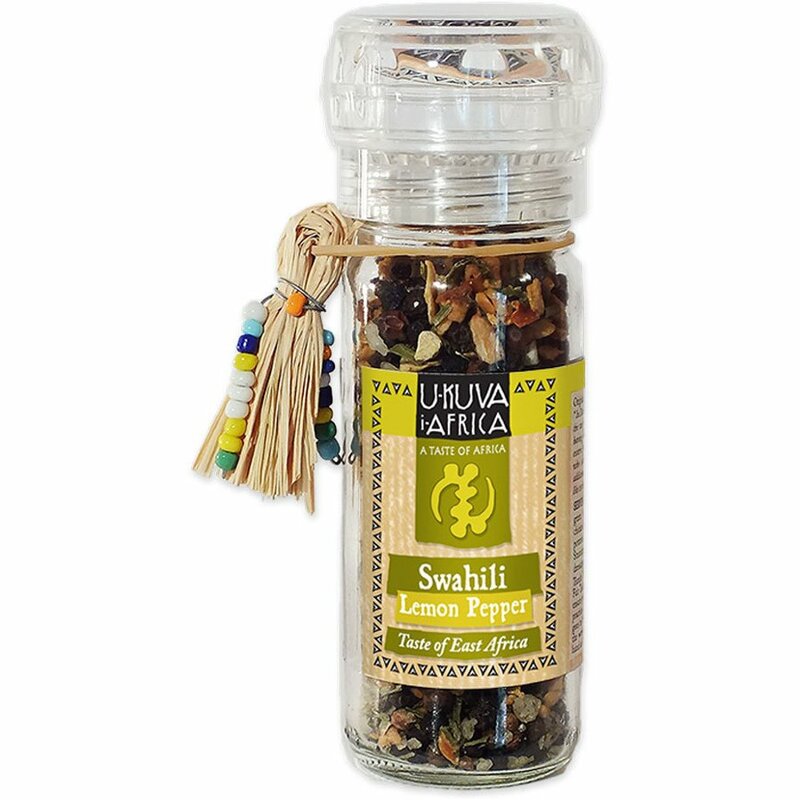 There are currently no questions to display about U-KUVA iAFRICA Swahili Lemon Pepper Grinder - 60g.